Swain, S.K., Baliarsing, B.K,, Sahoo, S.K., Meher, P.K., Patro, B., Rajesh, N., Dash, P.C., Jayasankar, P. and Jena, J.K. Call for applications (2nd round): FK Norway South-South Aquaculture Professional Exchange Programme. 4th Global Symposium on Gender in Aquaculture and Fisheries. An anti-viral treatment for healthier black tiger prawns. Jungle perch on the comeback trail. 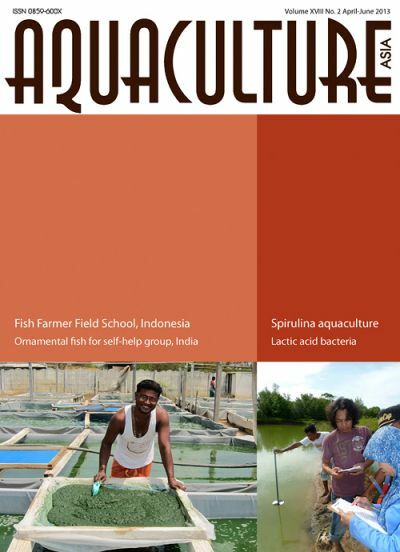 Nursery management of grouper: A best-practice manual [Indonesian translation]. Hatchery management of tiger grouper (Epinephelus fuscoguttatus): A best-practice manual [Indonesian translation]. 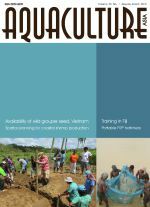 Priority adaptations to climate change for Pacific fisheries and aquacutlure: Reducing risks and capitalising on opportunities. Improving biosecurity through prudent and responsible use of veterinary medicines in aquatic food production.